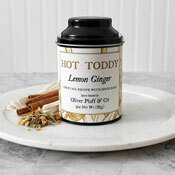 Oliver & Pluff's Lemon Ginger Hot Toddy kit provides a delicious brew with the pleasing scent of citrus, perfectly balanced with the spiciness of ginger. Easy to prepare, each beautiful tin contains 3 oz. 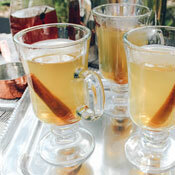 of spices - enough to brew 3 gallons of toddies. 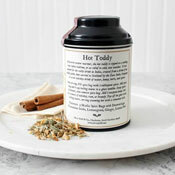 Muslin brew bags make it easy to prepare individual toddies. 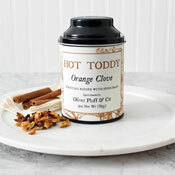 A delightful gift for the holiday host or hostess!